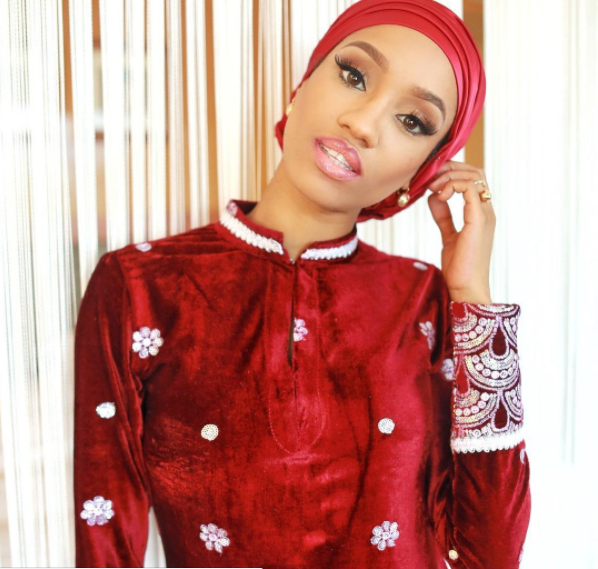 Singer Di’ja is the proud mother of a bouncing baby girl. 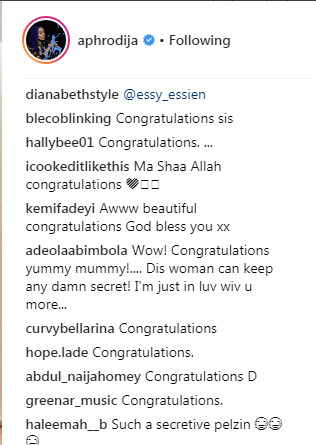 The singer posted on her Instagram last night a photo her new baby girl. “My mother is God’s gift. #GRANDMA and her grandkids. Wow I now have TWO children now (a boy and a girl). Alhamdullilah. Ubangiji Allah sai Godiya. I’m the happiest woman alive. God bless my husband , mother, father, and my brother and his family @msfaddy..heck my whole family! My daughter came on 9th MARCH 2018. Thanking everyone that has been there and been private with us. Have to thank @paul_gambit for shooting me heavily pregnant on the way you are #gbadun you music video (some will go and watch it again.) Thanks to the amazing styling of @funmi_fagbemi And @juongerald. 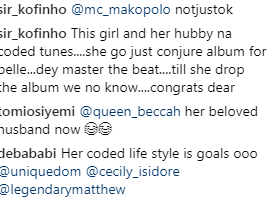 My Mavin family for their undying support and helping a pregnant lady finish her EP #Aphrodija and most of all my amazing family full of friends and support system. Mama bear of 2 💙💙. Allah ya Raya mana su. To think I was in labour on the 8th of March while doing a photoshoot with @michaeltubescreations and didn’t know🙈🙈. Women are truly amazing. I cannot wait for what is in store. Allahu Akbar. My mother is God’s gift. #GRANDMA and her grandkids. Wow I now have TWO children now (a boy and a girl). Alhamdullilah. Ubangiji Allah sai Godiya. I’m the happiest woman alive. God bless my husband , mother, father, and my brother and his family @msfaddy..heck my whole family! My daughter came on 9th MARCH 2018. Thanking everyone that has been there and been private with us. Have to thank @paul_gambit for shooting me heavily pregnant on the way you are #gbadun you music video (some will go and watch it again.) Thanks to the amazing styling of @funmi_fagbemi And @juongerald. 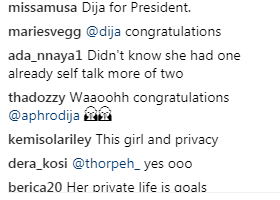 My Mavin family for their undying support and helping a pregnant lady finish her EP #Aphrodija and most of all my amazing family full of friends and support system. Mama bear of 2 💙💙. Allah ya Raya mana su. To think I was in labour on the 8th of March while doing a photoshoot with @michaeltubescreations and didn’t know🙈🙈. Women are truly amazing. I cannot wait for what is in store. Allahu Akbar. #mothersdayiseveryday #womensdayiseveryday #childrensdayiseveryday #mensdayiseveryday Now we are fully loaded and ready. 2018 just started! 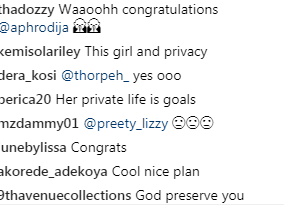 These are people’s reaction to it.